I've been trying a lot of new stuff lately, so I'm sharing 5 of my top favorites that stand out above the rest and that I recommend worth the spend and trial. 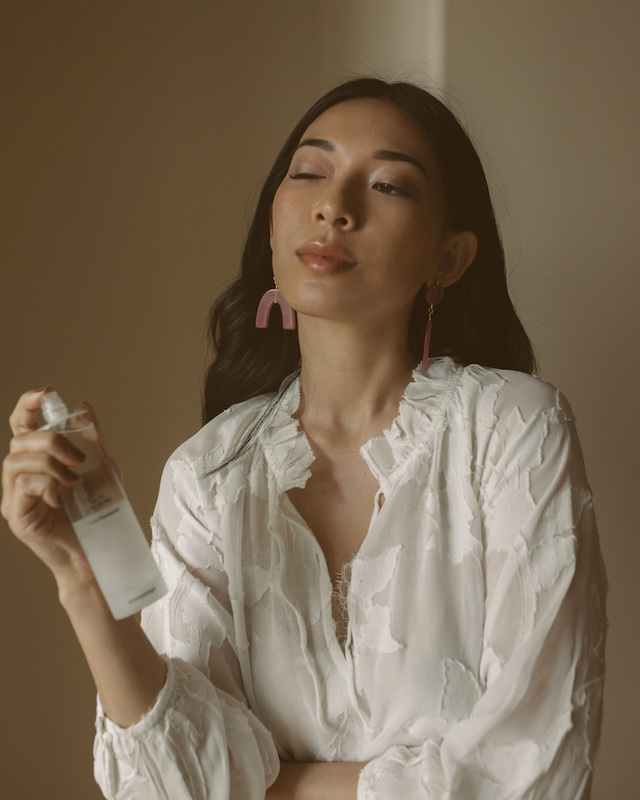 Extracted from the rare Rose de Mai straight from the fields of Grasse, the Chantecaille Pure Rosewater spray is a delicate refresher for sensitive skin. The gentle and subtly sweet aroma of the Rose de Mai instantly lifts my mood and takes me back to my favorite region in France for a moment. I love spraying this on my skin before I put on my makeup and after. 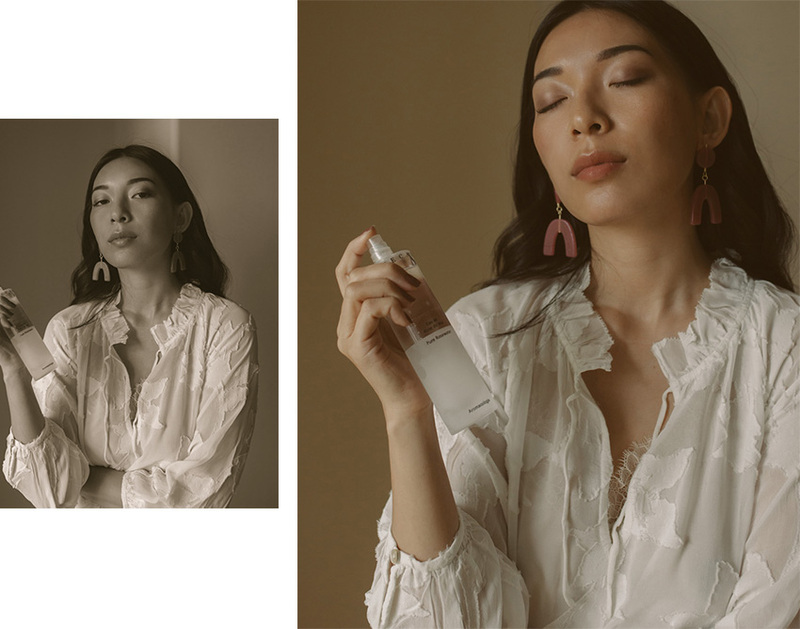 Jo Malone released an essential collection of 5 fragrances that each capture a beautiful, natural vignette of summer in the countryside. Storied scents like Green Wheat & Meadowsweet layered with Primrose & Rye (my favorite combination) transport me to the moment I stood amongst tall grass and sunflowers, surrounded by jumping grasshoppers, under the Provençal sunshine. Oat & Cornflower layered with Honey & Crocus remind me of the perfect texture of a freshly baked baguette in the morning, ready to be enjoyed with fresh figs and oranges. I love mixing all 5 fragrances for different moods, all which freshly invigorate a romantic memory from my own summer in the French countryside. The bottles are also so nostalgic and pretty for the vanity in its pastel shades. The perfect rose-brown that goes on sheer and layers well for depth. This is the rose-y neutral that flatters almost everyone for silky, hydrated lips that are their own. Lactic Acid is an all-natural exfoliator that leaves skin bright and smooth and combats acne-prone skin. 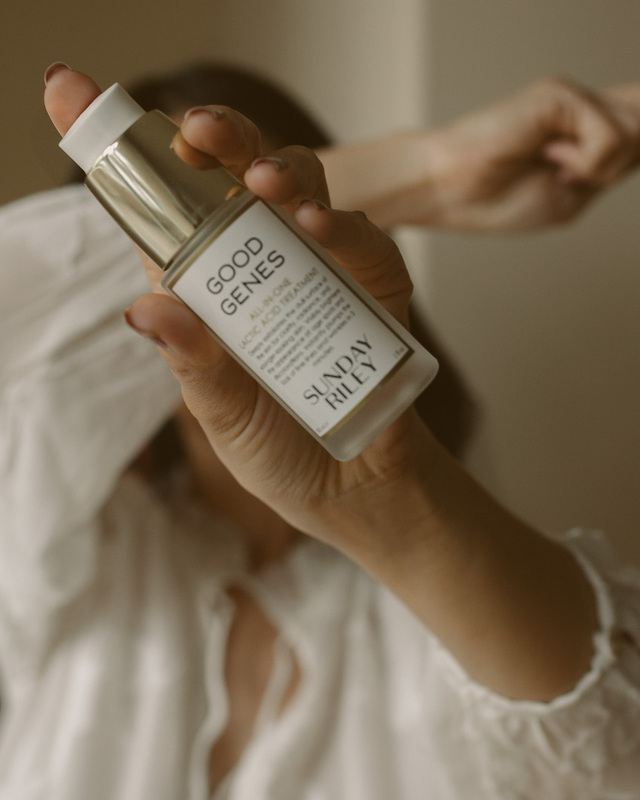 Sunday Riley Good Genes has 40% Lactic Acid as the active ingredient as well as other soothing extracts like Prickly Pear and Aloe to create a winning combination of a highly potent exfoliant for sensitive skin. I use this 3-4x a week at night and make sure to wear sunscreen daily while this product is in your regimen! Go ahead and give this facial tool a try - I promise it's not just a gimmick! Firstly, don't ever pay more than $25 for a jade roller; you can find a perfectly beautiful and functional one off of Amazon or anywhere else for that price. Anything higher is just a branded rip-off. Secondly, the jade roller isn't a miracle tool. Rather, it's a ritual that delivers youthful longevity to your skin with commitment. I use the roller on my skin after I put on hyaluronic acid serum or rosewater toner to deepen the product and to get to work in improving my blood circulation, promoting lymphatic drainage, reducing pore size, and reducing puffiness. 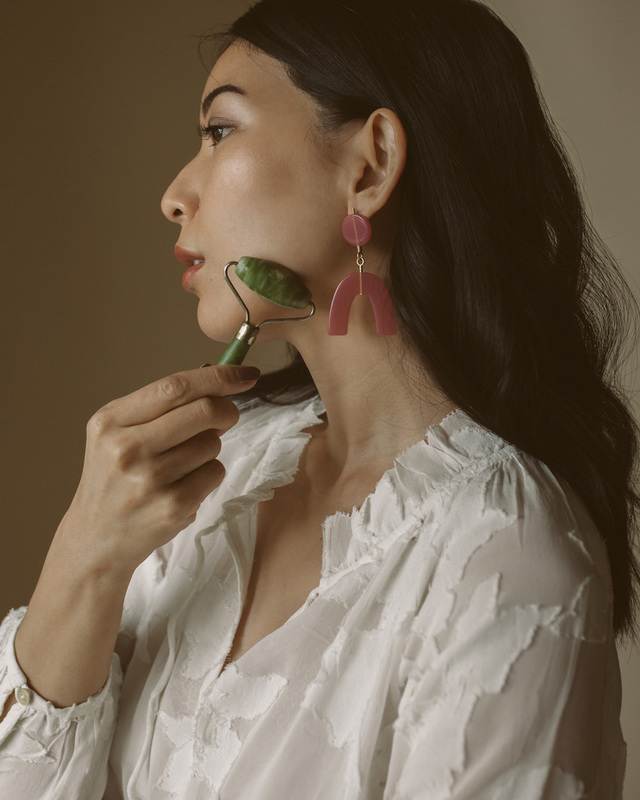 The jade stone is naturally cool, but it's a plus to grab it from sitting in the refrigerator overnight to rolling under your eyes (it's incredibly soothing!). 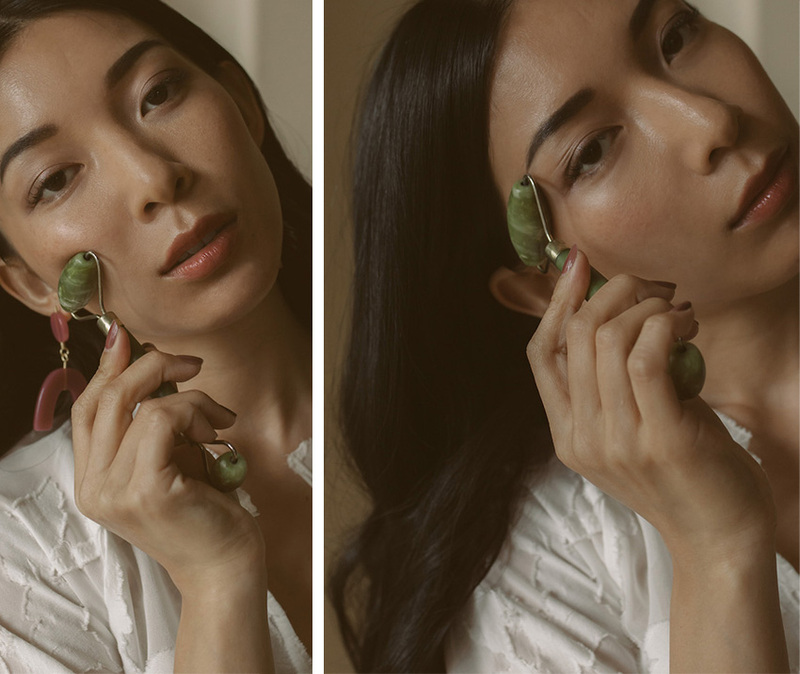 I've actually been using a jade roller for half a year already and I strongly believe that it has contributed to my skin's smoothness and contour as the daily massage helps reduce puffiness. I mainly focus on my jawline, cheeks, and under-eyes and there's plenty of Youtube tutorials that show how to properly roll your skin (always up and out!). I have never tried any Jo Malone Fragrances, all of them looks great! Thank you for the review!